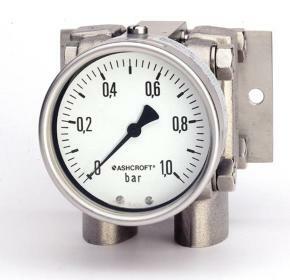 The Ashcroft® 5503 differential pressure gauge is used for monitoring differential pressure between two separate pressure sources. Designed for harsh services, this model provides high reliability and safety. A perfect solution for challenging application and installation requirements.